Before we get to the challenge, we want to let you know that we will be taking a break! After this challenge closes, we will return in September for our next challenge. We decided to take the summer off and spend time with our families! We do have some designers leaving us and this is their final challenge with us. We are sad to see them go but we completely understand! Thank you to Kristie, Geri, Narelle, Cindy, Yoonsun, and Sheri! You are all so talented and lovely. We will miss you! 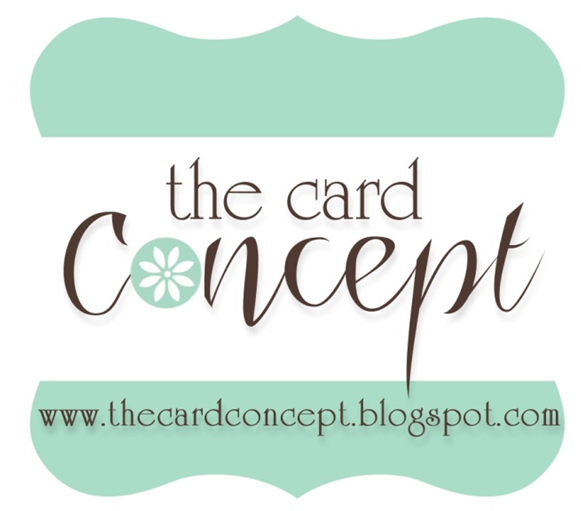 Thank you, Hannelie for being our guest this month at The Card Concept! 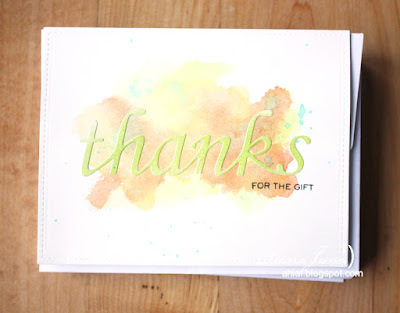 We loved having you with us! The flowers were my inspiration. The colors were definitely the inspiration for my card. 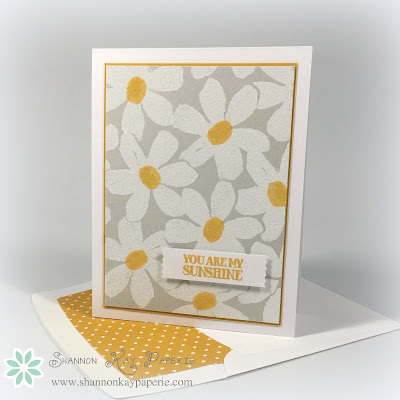 The daisies were my inspiration! I was inspired by the perky colors and flowers! 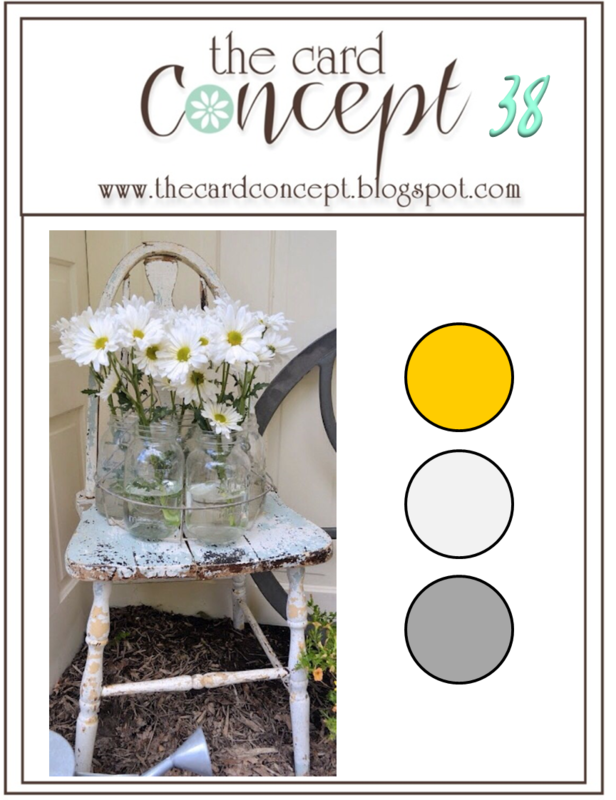 I was inspired by the colors and the pretty daisies! Ooohhh I just love these pretty inspiration colours! 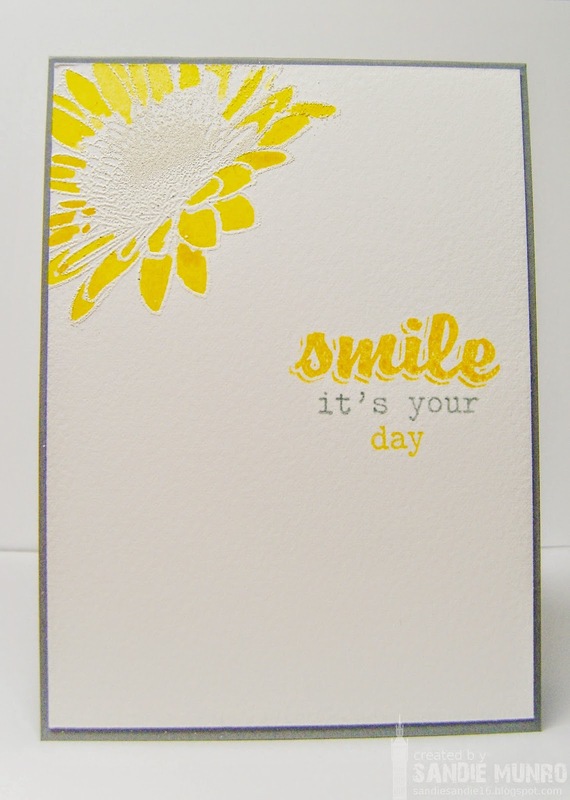 I haven't used a daisy on my card but I still wanted to go with a florally theme. 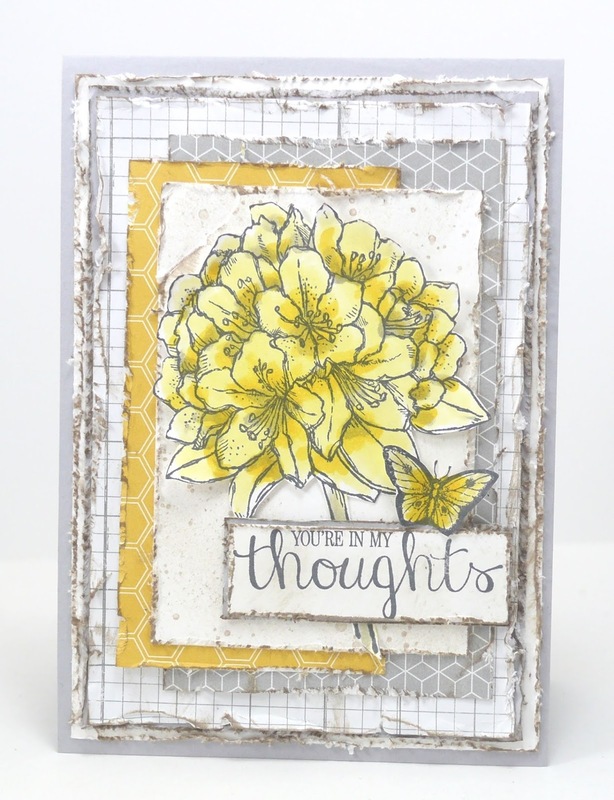 I was inspired by the flowers to include a couple of flower shaped sequins along with the white, gray and yellow in the photo. 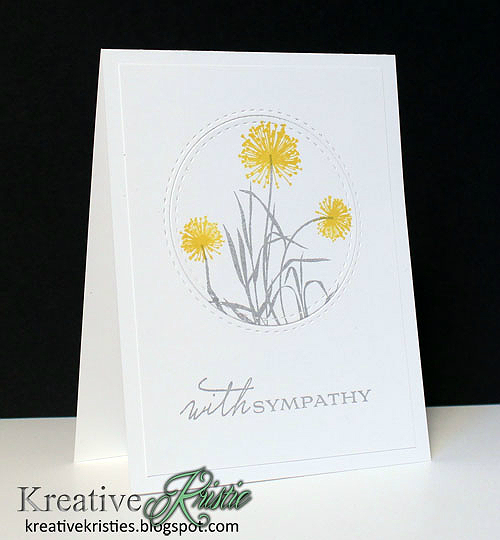 Lots of white space and simplicity inspired this card. I was inspired by the beautiful colors! 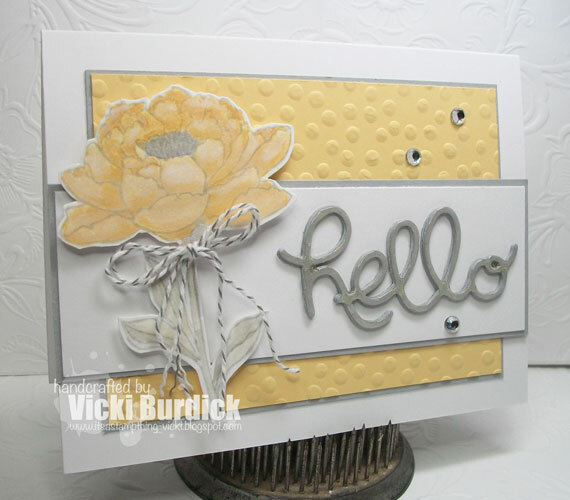 One of my fav color combos!! I was inspired by the Daisies and color combo! I was inspired by the colours! I was inspired by the colors, the crackle paint on the chair and the cheerful daisies! 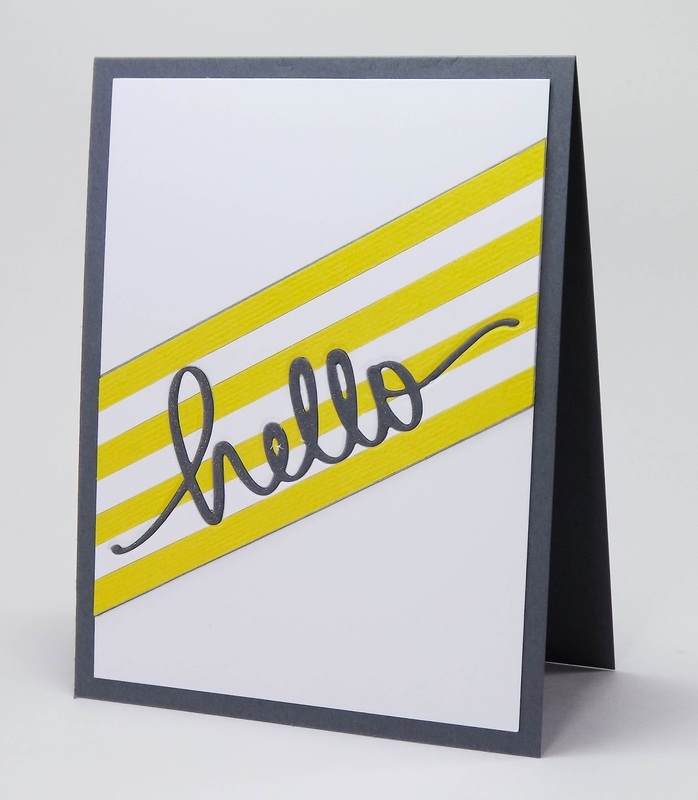 Comment on the card ahead of you and behind you in the linky (or on two cards in the gallery). Everyone loves comments! This challenge will end on Monday, July 6th at Noon (PST). BEAUTIFUL cards from all the designers this week! There's so much inspiration here! Have a wonderful summer break! OMG I love the colors and the DTs cards are fabulous! 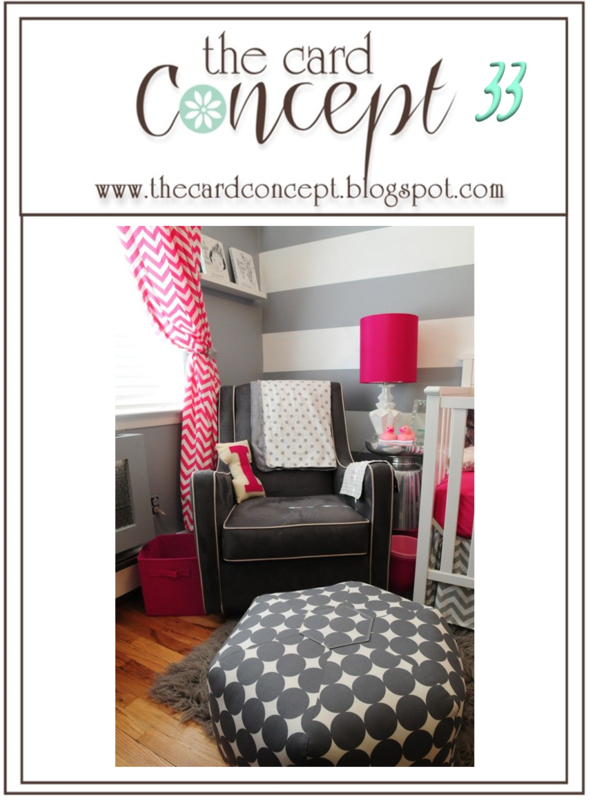 Ooh.. My niece, Olivia's, favorite color combo. I may have to find something inspired by her. ^_^ These cards are all so beautiful. I'm not sure if I will post or not, but definitely inspired. Thank you! 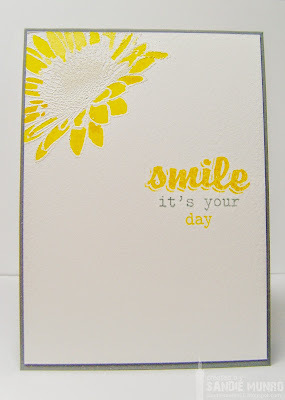 beautiful cards from the DT, great color combination, enjoy the summer time! 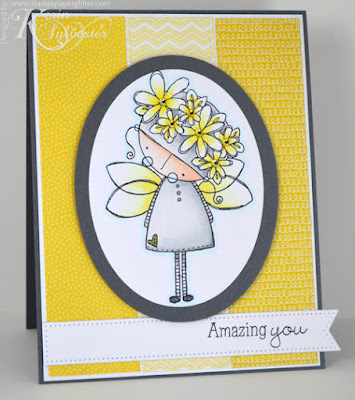 Wow, what gorgeous cards this week by the DT! Amazing, ladies! 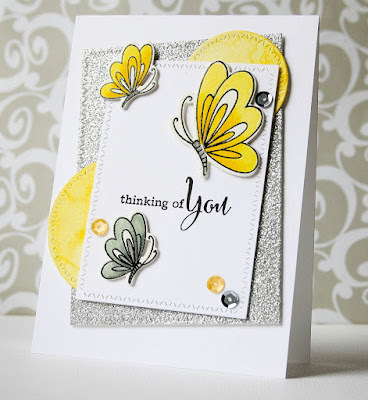 Gorgeous colors and inspiration photo, too! 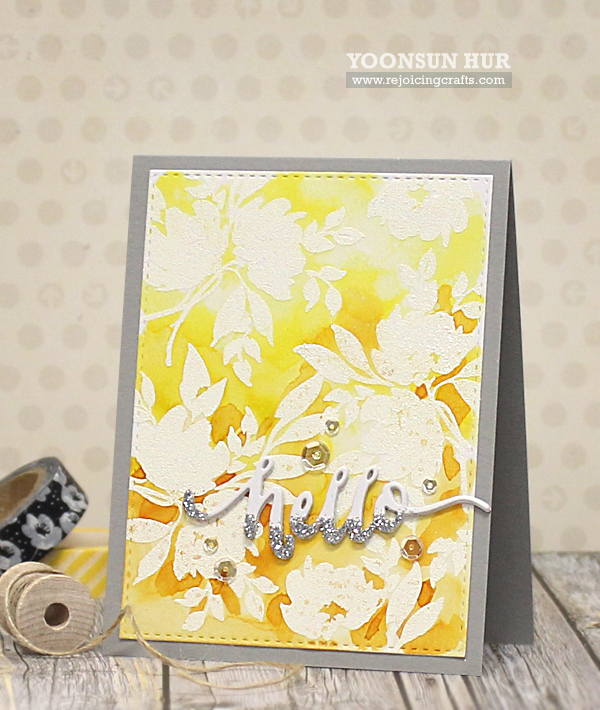 Love the color combo! Enjoyed the DT's projects. Love these colors and the inspiration photo was wonderful. Such great inspiration from the Design Team also.